Every parent knows it's important to make sure their children eat a healthy and nutritional diet, but that's not always how kids themselves see it! Fortunately there are a few easy tricks that can be employed so that meal times can be less stressful and more enjoyable the whole family. It might sound counterproductive to say that taking a step back can help. In fact, asking too many questions about whether or not enough vegetables were eaten in one sitting or why a child might be unwilling to eat what's good for them often makes things worse. 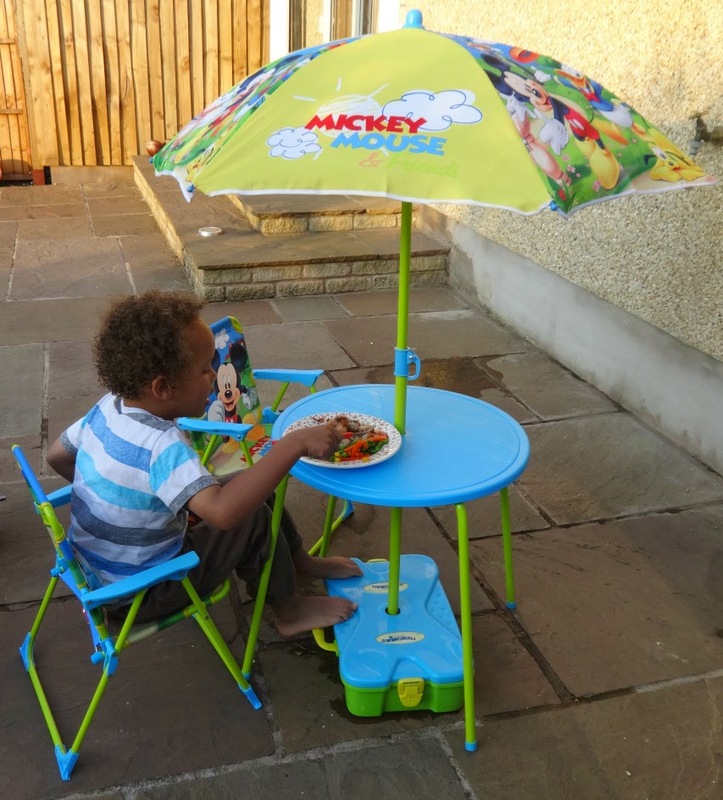 Kids’ appetites fluctuate depending on lots of factors including activity levels and growth spurts so no mealtime is really going to be 'typical'. Luckily I am quite chilled on this. Aaron will eat cereal every day and then all of a sudden not touch it for 3, 5 or even 10 days and have toast instead. Similarly, one day he can eat a WHOLE head of broccoli yet another day won't touch it. Some days he focuses on the rice on his plate, other days it is the meat, and the rice is left. I have noticed he craves what his body needs, kind of like baby-led weaning but for older kids. I am glad I have a relaxed approach as it really works. When he wants to eat a lot, he does, and the portion size is always there to accommodate for that. Making sure that a balance is kept over time is the best approach and means that the odd fast food excursion can be incorporated into your dietary regime as long as everyone is aware that it is a treat and not a regular occurrence. This so applies to us. 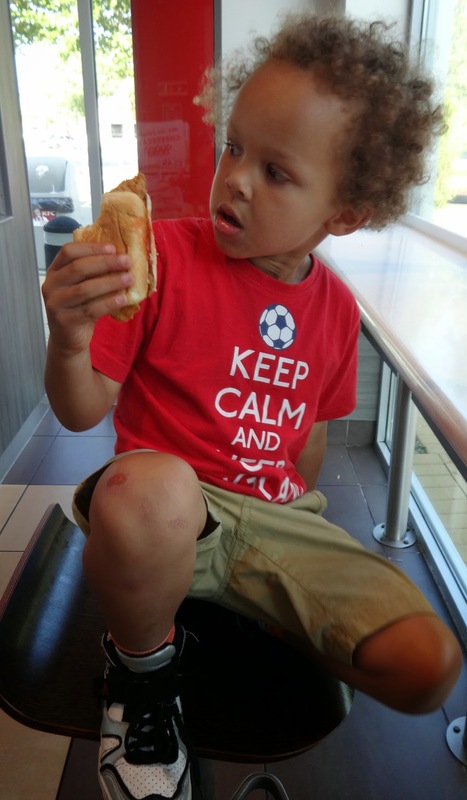 Very occasionally we will go to McDonald's although we have recently discovered Aaron prefers KFC. We've been twice in a fortnight but probably now won't go again for a month! Letting your children have an input into menus and getting them to take part in cooking and preparation is a fantastic way to make things feel positive for everybody. Whether it's letting granny hand down some family recipes in her McCarthy & Stone property when you visit or exploring some of the great cookery books that are available for kids, getting your children involved in cooking can be fun and educational at the same time. I am yet to "bake" with Aaron, but he often juices with me. Juicing is a fabulous way of sneaking in their 5-a-day. Also I always give him a choice of dinner before I start cooking. This avoids a rejected dinner. So I will literally say "rice or pasta" or "potatoes or spaghetti"? If lunch is replaced with a sandwich, I'll make that sandwich as nutritious as possible! One of the big problems in getting children to eat the 'right' kind of food is that fruit and vegetables can often be seen as boring and unexciting. If you serve them in unexpected ways – perhaps as fruit and yoghurt ice-pops to or sweet potato chips – then you may find little tastebuds are more willing to give them a go. For us this is achieved by juicing. Also, I have recently discovered he loves cucumber. My nieces and nephew have been staying with us for 11 days (last day tomorrow) and they LOVE having a side salad on the side of every meal - who knew?!?!? 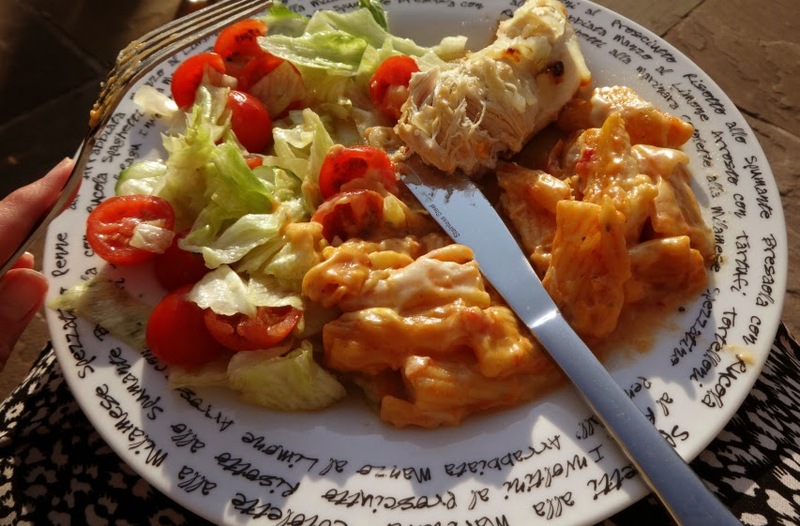 Cheesey pasta with chicken, with a generous side salad, which they all gobbled down! Some parents swear by slightly unconventional ideas such as conversational hypnosis and other subtle techniques aimed at helping their children do the right thing indirectly. Something as simple as choosing the right words can dictate whether or not your kids will eat something and often making a big deal of their reluctance is only sure to make things worse. Wow, I can SO confirm this to be true! You should speak to your children about the importance of eating healthily too and educate them on different food groups and nutritional values so that they understand why a balanced diet is important. I do this with Aaron, and as a result he now drinks a lot of water. Where he used to drink a lot of Ribena, he now knows sugar is bad, and will opt for water more often than not, unless he is craving a sugar kick as a treat. The hot weather's been great for getting him drinking LOTS of water. 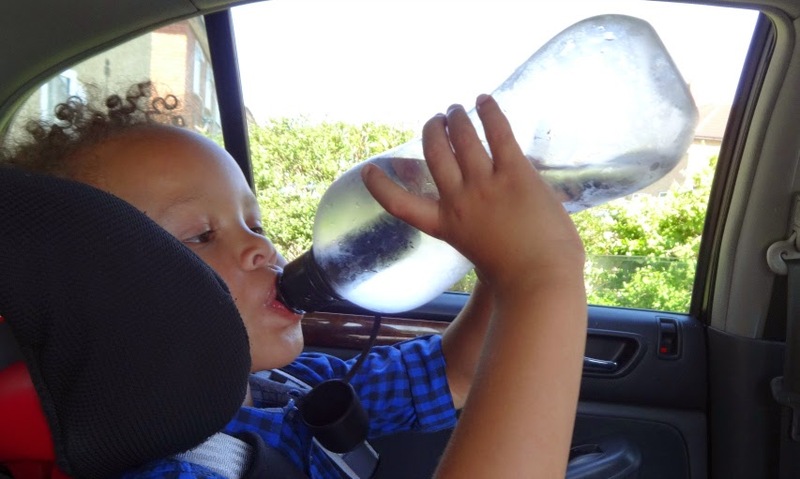 Our new filtered water bottles on the go may have helped too.